Here’s a tale of how the development of the upcoming Home Lands: How Women Made the West exhibit is mimicking history–in particular, an archival image taken by Russell Lee that’s become the cornerstone of our advertising for the exhibit. 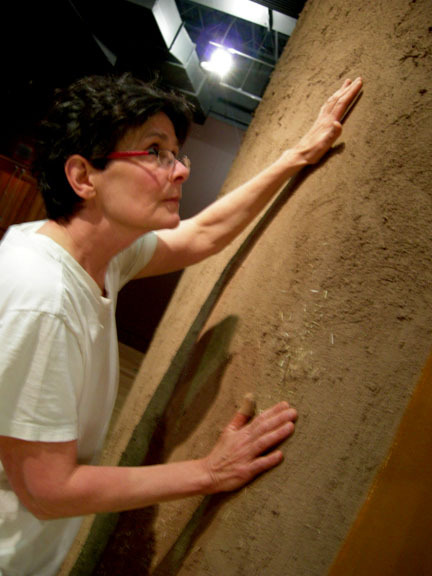 Exhibition designer Caroline Lajoie wanted visitors to Home Lands (opening June 19, btw) to be greeted by something elemental to the Rio Arriba section of the exhibit. At that heart is the role earth played in how women prevailed over often-daunting conditions. 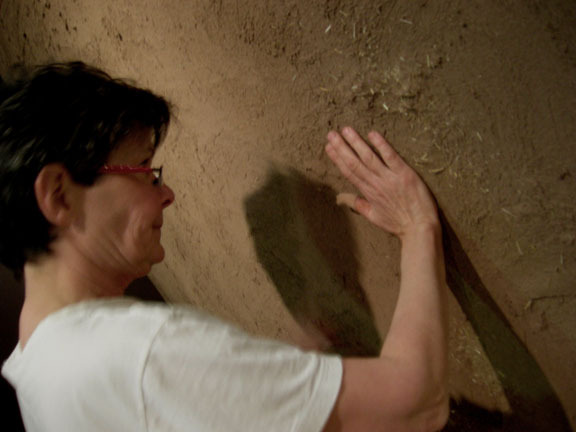 Whether they were using it to form cooking vessels and, eventually, fine-art pottery, or mudding the walls of their homes and churches, or wheeling, dealing and preserving the real estate of northern New Mexico, the dirt beneath of our feet has been a constant thread in the story of New Mexico women. And now that story is on the wall, too, thanks to plasterer Kathy Brennan. Although the precise recipe’s a secret, it includes clay, marble dust and natural pigments “straight out of the earth,” Brennan said. She also added bits of straw and twigs for that old New Mexico look and used the Russell Lee image as an inspiration, though she didn’t don the overalls and straw hat of the photo’s plasterer. This is her first experience mudding in a museum. Mostly, she works on home interiors, where people often ask her to include their handprints, their dogs’ pawprints, or their grandchildren’s footprints. Home Lands focuses on the lives of women across the centuries in three regions–New Mexico’s Rio Arriba, Colorado’s Front Range, and Washington State’s Pugent Sound. 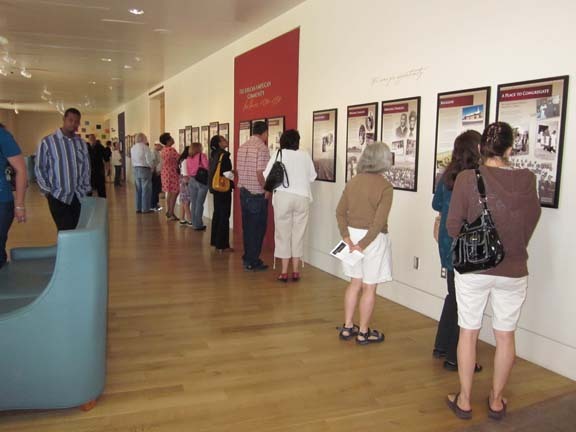 Originally organized by the Autry National Center in Los Angeles, it features additional materials from the History Museum’s collections. It joins three smaller exhibitions–Ranch Women of New Mexico, New Mexico’s African American Legacy: Visible, Vital, Valuable, and Heart of the Home to put a spotlight on the unsung heroes of American history. 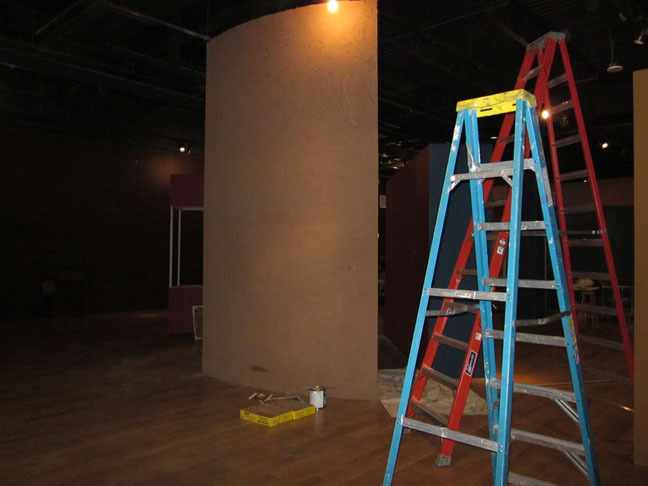 You can see Brennan’s mud wall in person June 19-Sept. 11, on the second floor of the History Museum, just north of the Santa Fe Plaza. Our grand opening, with refreshments in the Palace Courtyard, will be from 2-4 pm on Sunday, June 19. Admission is free on Sundays to NM residents. Behind a secure door in the lower level of the History Museum sits a cavernous storehouse reminiscent of that final warehouse scene in Raiders of the Lost Ark. The museum’s collections storage area boasts some of the most state-of-the-art qualities for preserving everything from ancient Pueblo artifacts to the recently honored Centennial license plate. Despite the bounty the museum already owns, we still actively collect items for future exhibitions, for researchers, and to ensure we have representative samples of every era of our history. 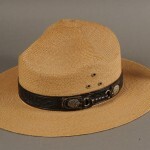 National Park Service hat and original storage box. Three framed artworks by unknown artists from the Santa Fe Indian School. Portfolio: When the Two Came to Their Father, Princeton University, 1943, Princeton, NJ. These are 18 serigraph plates (18 x 24 inches) in a portfolio, based on original works that were executed in cornmeal and pollen on buckskin. They document a ceremony that was revived at the outset of WWII to prepare young Navajo men for military service. Jeff King was a tribal religious leader who revived the ceremonial and celebrated it for Navajo soldiers leaving for war. Text and paintings were recorded by Maud Oakes. Introduction is by Joseph Campbell. This was the very first publication issued in the distinguished Bollingen series issued by Princeton University. This rare first edition is not listed in any Museum of New Mexico library collections. This original edition became available after the purchase of a reprint portfolio, and includes the accompanying book by Oakes and Campbell. Polaroid prints taken in the 1970s. Museum of New Mexico Film and Video Collection and equipment. 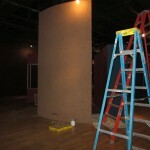 Transferred from Museum Resources to Photo Archives. Brown Franciscan robe with white knotted cord. Thirty- eight 8 x 10 silver gelatin prints. Two 1930s photographs of the Alamogordo Dam project. Seven 16 x 20 photographs by Anne Noggle. The donor’s family has lived in New Mexico for several generations. The donation includes a wedding crown, pink dress (1962), sheer navy dress (1930-1940s), navy and blue mantilla (1950s?) and 1 digital copy of the donor wearing the wedding crown for her wedding in 1972. It was worn by donor’s grandmother for her 1912 wedding. This will be the second wedding crown in the museum’s collections. The donor was born in Las Cruces on July 20, 1940. He wore this suit for his first birthday. The donation also includes his hand-knitted sailor hat and toy dog. We have a digital photo of Dodson wearing the suit and standing in front of a marshmallow bunny cake. This donation will broaden our collection of WWII era children’s’ clothing. Silver and turquoise business card holder. This silver holder with a piece of turquoise was given to the Director on the opening of NMHM by Ben Lujan, Speaker of the New Mexico House of Representatives. 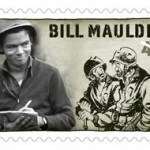 Material associated with the issue of the Bill Mauldin stamp. Bill Mauldin, well known cartoonist, was born in New Mexico. The ceremony unveiling the stamp was held at the New Mexico History Museum. 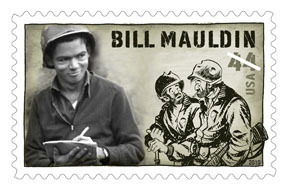 Materials include first day of issue stamps and envelopes and a framed display of the stamps with Bill Mauldin’s image. Four First day of Issue stamps on envelopes. The stamps all relate to New Mexico: Georgia O’Keefe, Spanish Settlement, Palace of the Governors, and Dennis Chavez. They will be added to the library’s growing collection of stamps honoring New Mexico. Formed display of new Zia New Mexico Stamp. The First Day of Issue ceremony was held at the New Mexico History Museum. The uniforms are from the New Mexico Military Institute and the National Park Service, Bandelier. They were worn by the donor and date from 1996-98 and 2000 respectively. Scrapbook created by Fray Angélico Chávez relating to Chávez family. Scrapbook relating to the Paul A. F. Walter Jr. family. Walter, son of Santa Fe newspaperman Paul A. F. Walter Sr., was assistant director of the Museum of New Mexico and the School of American Research. He became the first director of the University of New Mexico Press and was the longtime editor of El Palacio magazine. Papers relating to Olivia Tsosie. The 9 boxes of materials pertain to the Santa Fe River Project, Agua Fria Village, Spanish horses, and family materials. Papers and one dress belonging to Jesusita Acosta Morales. Morales was New Mexico Secretary of State in 1928. The donation consists of 4 boxes of newspaper clippings, photos, letters, embroidery art work and a flapper–style dress. Small NM flag and paper ephemera associated with the commissioning of the USS New Mexico submarine in 2010. 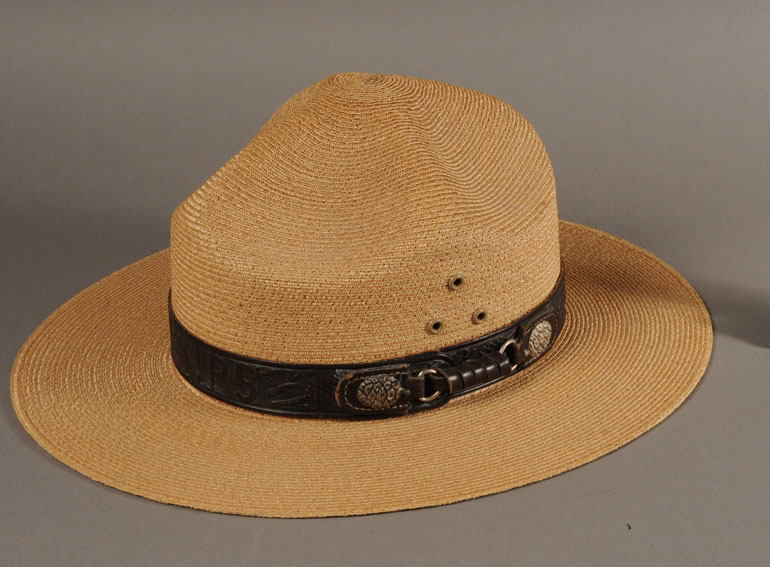 Cap with insignia of USS New Mexico submarine. 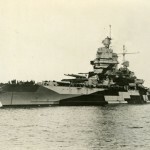 CDs of interviews of 40 individuals who served in the battleship USS New Mexico during WW II. Commemorative objects relating to the newly commissioned submarine USS New Mexico (SSN 779). Cap, patch, poster, mug, and pin, all with the submarine’s logo. Donation of two towels with the USS New Mexico (SSN 779) crest and two DVDs on the commissioning of the submarine. 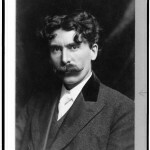 Materials pertaining to John Stewart Harvey Sr. and the Fred Harvey Company. Donation of papers associated with Fred Harvey and other family members. Materials include date books, letter books, code books, clippings, photographs, and letters dating from the 1860s-1880s. Donation of Fiesta clothing for men, women and children; also a black dress worn by Emma Dixon in the 1920s. 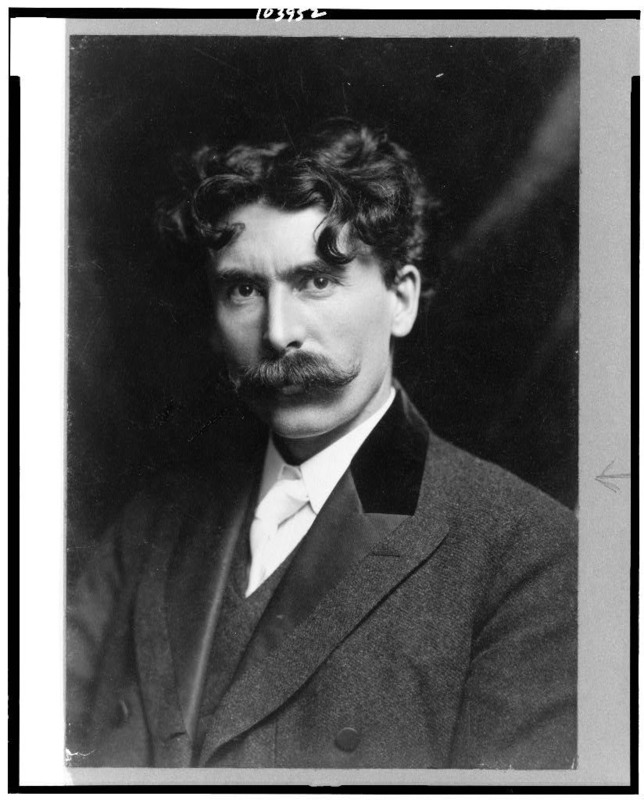 Book, Trail of an Artist Naturalist: the Autobiography of Ernest Thompson Seton. Framed print of clay sparrow by Ernest Thompson Seton. A framed letter from the director of the Office of Indian Affairs, dated February 24, 1923. Four boxes of papers pertaining to La Herencia magazine; correspondence, essay drafts, photographs, and financial matters. La Herencia began publication in 1994 in Santa Fe. 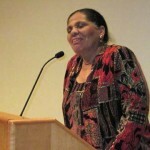 La Herencia, a quarterly publication, was founded by Santa Fe native Ana Pacheco, in response to the rapid decline of the Spanish language and Hispanic culture of New Mexico. The magazine has ceased publication. 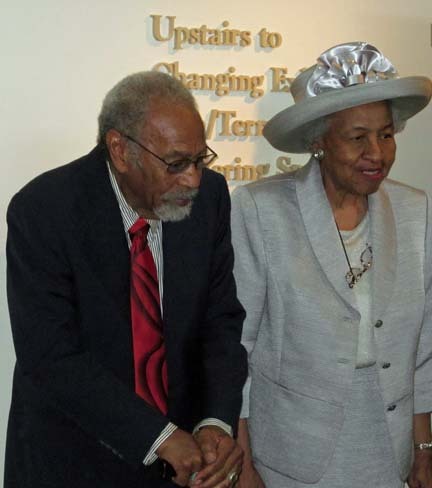 Papers pertaining to the Johnson family, collected by Dove Brown. Abstract of Title, plat maps, legal and tax documents, correspondence, postcards, and miscellaneous documentary items for Colorado, Illinois and New Hampshire. Three linear feet of papers from Tigges Planning Consultants. Traffic, development and master plans. Framed hand-painted photographs from the Ulibarri family in New Mexico; Ana Maria Montano and Jose Eluojio Ulibarri. Four archival pigment prints of New Mexico scenes, 2006-2007. Richard Wilder photograph of Laura Gilpin’s House, 1980. Production photographs from the Santa Fe Opera, 1960-1980. 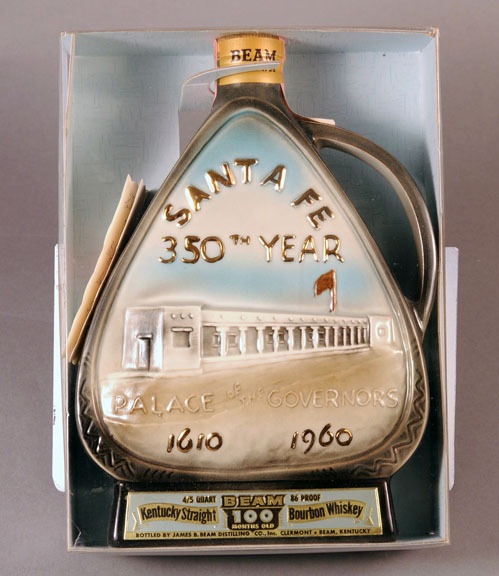 Commemorative Jim Beam bottle depicting the Palace of the Governors, 1610-1960. Donation of cap, photograph and La Fonda Hotel brochure dated 1954. 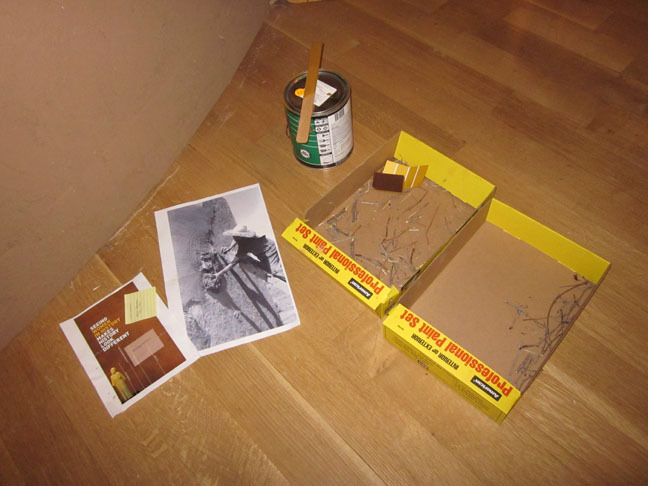 Two boxes of materials pertaining to the Santa Fe Historical Society, 1967-1990s. 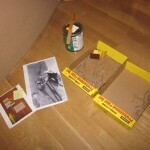 Materials related to Gustave Baumann. 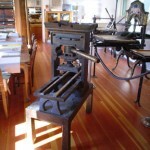 Artwork, wood blocks, hand tools, books, personal items. Twenty six black and white glass slides of pre-revolutionary Mexico, mostly along the border. 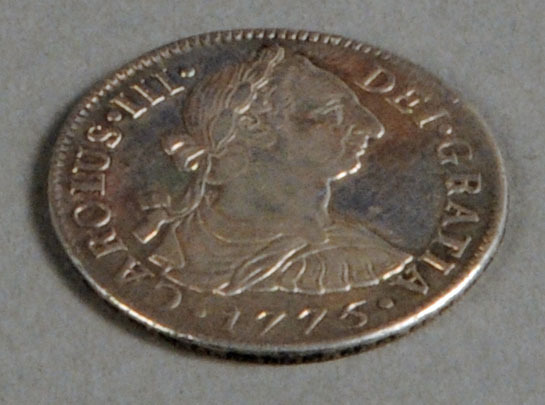 One coin is a Spanish silver 2 reales, minted 1775. The other is an American copper one-cent coin, minted 1850. 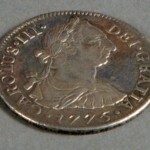 Three silver 8 reales pieces. Donation of papers from the 1960s pertaining to New Mexico and Arizona. Materials include maps, Santa Fe Opera programs, and research materials on the Acequia Madre. Donation of 1960s clothing worn in New Mexico. Donation of commemorative material associated with the 400th Anniversary of Santa Fe. Items include drinking glasses, lapel pins, coins, CDs, books, and magazines. Donation of memorabilia associated with Governor and Mrs. Bill Richardson. Items include invitations to the White House and the governor’s inaugurations, name tags and name plate, a scrapbook documenting the governors’ career from 1970-1980, a presentation piece from Mexico, and jackets and vests relating to the Albuquerque Balloon Fiesta, Rail Runner, and New Mexico Rodeo Council. Mrs. Richardson has donated the suit she wore to the swearing in ceremony and the gown she wore for the inaugural gala. Governor Richardson has donated the suit he wore for his inauguration. Donation of furniture made in Mexico and New Mexico including a chest, table, mirror, two silver sconces and three New Mexican tin lamps. Donation of a painted tin ex-voto of Our Lady of Guadalupe. 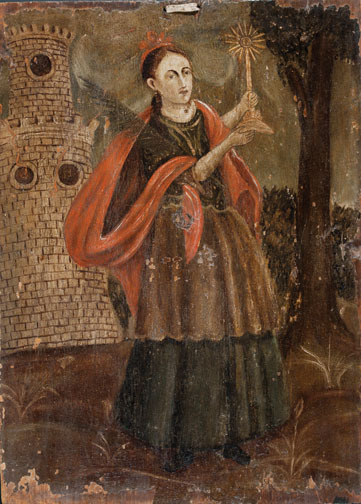 Purchase of a retablo with an image of Santa Barbara painted by Don Bernardo Miera y Pacheco (1714-1785). 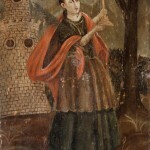 Miera y Pacheco was one of the earliest Santeros in New Mexico to be known by name with documented works associated with him. The purchase was made possible through generous donations by Kay Harvey, Marilynn and Carl Thoma, Terra Foundation, Linda and Leroy Clark, and an anonymous donor. Donation of a medallion commemorating Carlos V.
Presented to the director of the museum by SEACEX while she was in Spain. 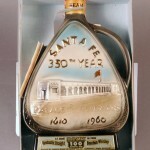 Purchase of a Christmas ornament depicting the New Mexico Capitol Building. Donation of the Quentin Hulse Collection which includes books, artwork, photographs and personal items. Quentin Hulse (1926-2002) was a well-known ranger, hunter, trapper, and guide who lived and worked at the bottom of Canyon Creek in the Gila River Wilderness for over 50 years. Donation of a collection of books and periodicals on photography. Donation of photographs of the mining town of Hagen, New Mexico. Donation of photographs of New Mexico doors by Gustavo Castilla. Donation of a collection of photographs including stereo views, cabinet cards, cyanotypes, and postcards of New Mexico scenes and pueblos. Donation of a panorama photograph of Deming, New Mexico, 1917. Donation of two home movies recording ceremonial dances at the Palace of the Governors with singing by Maria Martinez (1960s) and a Gallup Ceremonial. Donation of a collection of photographs of the Santa Fe Opera, 1967-68. Gift of Randall Bell. Donation of a collection of photographs, papers from the Photographic Society of America and the Santa Fe Camera Club, 35mm slides, and cameras from the estate of Roy Elliott Barker (1911-2005). 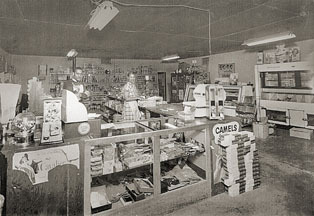 Barker worked for the New Mexico Fish and Game Department from the 1930s until he retired in the 1960s. He produced over 25, 000 slides of the Barker family in New Mexico, the vernacular architecture of the state, and scenes of landscapes and wild life. His work was published in the New Mexico Magazine and Arizona Highways. Donation of photographs of New Mexico, 1920s. 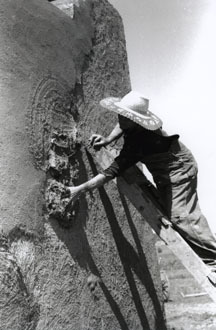 Donation of photographs of buildings in Santa Fe, 1918-1925. Donation of photographs produced by Miguel Gandert and Anne Noggle. Collection of clothing worn in New Mexico in the 1970s. 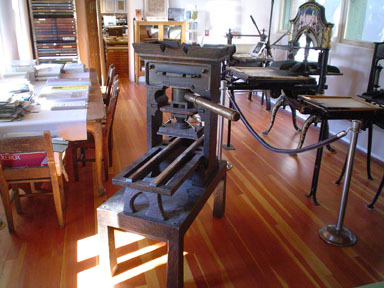 Donation of a Bobcat Press. Gift of the Albuquerque/Bernalillo County Library System. Donation of a rosary created by a prisoner in Central New Mexico Correctional Facility. Donation of items from Diane Denish’s term as Lieutenant Governor. Framed bill signed by her, 2 portraits, gavel, and a shovel used in the ground breaking for the Navajo Nation water project. 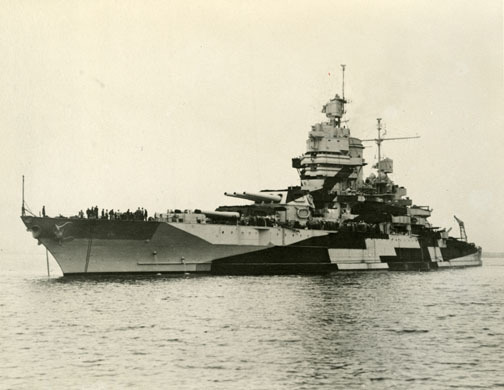 Donation of original and photocopied items pertaining to the history of the USS Santa Fe, 1940s-1990s. Donation of silver gelatin prints by Barbara Van Cleve. Donation of original signed prints by Henry Tefft (12 binders, 3 boxes). Donation of photographs taken between 1868 and 2008, including images produced by William Henry Jackson and Memphis Barbree. Donation of bottle opener from the De Vargas Hotel (1920s). Donation of materials pertaining to the SS Columbus (the German crew was held at Ft. Stanton during WW II). Donation of silver gelatin prints (1930-1940) created by Jack Hull, editor of the Clovis Times and diaries (1941-1947) of Iretus D. Johnson, only dentist in Clovis at that time. Donation of four chairs made by WPA artist Eliseo Rodriguez, circa 1938. Donation of an iron hide scrapper and iron spoon. You can go all the way back to the 1527 exploration of Cabeza de Vaca and a Moor who accompanied him. Esteban de Dorantes was, by some accounts, the first African American to set foot in New Mexico, though other historians have traced the lineage as far back as 1050. Despite such a lengthy history, you don’t often hear the stories of New Mexico’s African Americans. Enter The African American Legacy: Visible, Vital Valuable. 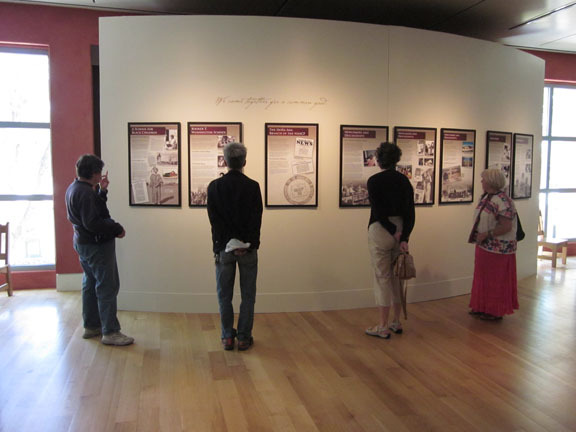 The exhibition, produced by the African American Museum and Cultural Center of New Mexico took center stage at the History Museum today (May 15) and will be on display through Oct. 9. 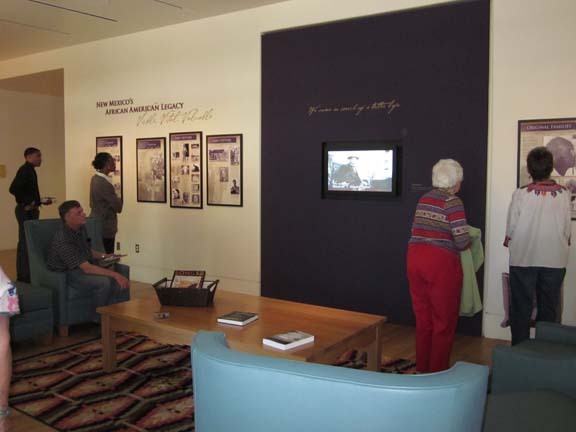 The exhibition focuses on the African American experience from the Civil War into the 1950s and includes the communities of Las Cruces, Albuquerque, and Blackdom, a short-lived African American community near Roswell in the early 1900s. Rita Powdrell, president of the African American Museum, which is still working toward a physical building, invoked a West African term, Sankofa in her remarks at the exhibit’s opening. Its meaning is simple: Go and fetch it. Retrieve the past that you might learn from it. 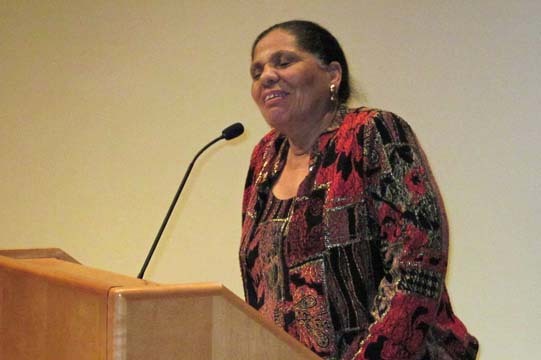 In researching different communities’ African American experience in New Mexico, Powdrell said, members of the museum board learned that it differed, one place to the next. 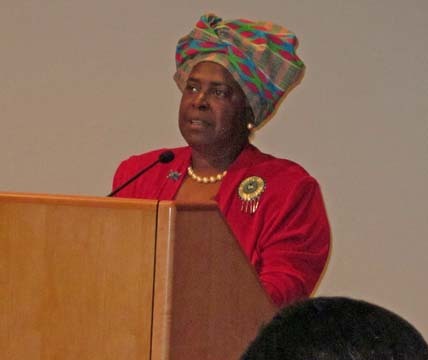 Other speakers at the opening included retired NMSU Professor Clarence Fielder, the original curator of the exhibition’s Las Cruces section; Gary Williams from the state Office of African American Affairs; and Brenda Dabney, a board member of the African American Museum who paid tribute to the historians on whose shoulders today’s African American researchers stand. Told on a series of panels, the exhibition focuses on migration, families, churches, social organizations and entrepreneurs, along with the struggles against segregation. Among the people it features are Cedric and Merdest Billingsley Bradford (left), longtime operators of the U-Tote-Em Grocery Store in Las Cruces and community activists who devoted time to Planned Parenthood, the NAACP, and Las Cruces’ public schools. 2-4 pm, Sunday, June 12: “The Journey of the African American North,” focusing on Santa Fe and other northern New Mexico communities. 2-4 pm, Sunday, September 25: “Entrepreneurship in the African American Community,” from gas stations to barber shops to restaurants and more. The events are free and will be held in the History Museum Auditorium. Today was a day for celebrating, and we’d like to share some glimpses of the event — while encouraging you to come to the museum and check out the show. Dancers from Albuquerque’s Public Academy for the Performing Arts, accompanied by vocalist Josef Scott. Poet Doris Fields shares a poem she wrote especially for the exhibition. Clarence Fielder, a retired NMSU professor, who began the research for an exhibition about Las Cruces’ African Americans that, years later, grew into today’s version. His co-researcher, who couldn’t attend the event, was then-student Terry Moody, who today works for the state Historic Preservation Division. 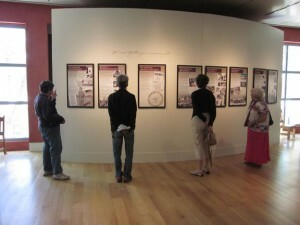 Visitors enjoying the exhibition, which is in the museum’s second-floor Gathering Space. The Gathering Space has plenty of comfy chairs, perfect for watching a 30-minute Colores program from KNME on Blackdom.